Recently we were featured on the Health IT Outcomes and Business Solutions By John Oncea, editor on the benefits of Mobile Patient ID and Verification. 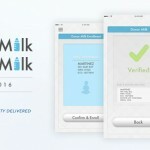 Q: Can you explain why Rapid Healthcare developed its Mother’s Milk application on a mobile platform, and how and why this app came to be implemented in one of the largest NICU environments in California? 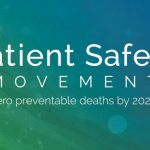 Panjwani: Rapid Healthcare’s software platform and applications are designed specifically for mobile devices — smartphones and tablets — with the intent of making it faster and easier for physicians, nurses, technicians, and other hospital personnel to instantly verify at the point of care that a patient’s ID is a match for the procedure about to be performed. Essential to the efficiency of this mobile system are easy-to-use, on-demand mobile printers, which are used to print clear, legible wristbands and specimen labels. 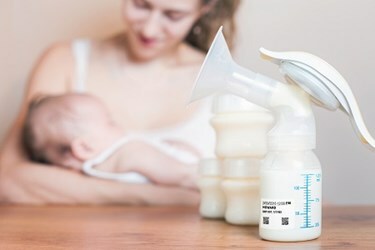 According to Anton Ansalmar, Rapid Healthcare’s founder and president, the Mother’s Milk mobile application was developed to reduce risk and improve neonatal safety by preventing potential misfeeds in the preparation and administration of mothers’ breast milk for infants in the NICU. The initial pilot hospital environment for the Mother’s Milk applications was in a busy Neonatal ICU, with 55 beds and 160 nurses. Read more of the Q&A at the following link. Registration is required. What’s Going down i’m new to this, I stumbled upon this I have found It absolutely helpful and it has aided me out loads. I’m hoping to contribute & assist other customers like its helped me. Great job. Just wanna input on few general things, The website style is perfect, the content material is really fantastic. “By following the concept of ‘one country, two systems,’ you don’t swallow me up nor I you.” by Deng Xiaoping. Hi, Neat post. There’s a problem together with your site in internet explorer, might test this… IE still is the market leader and a large section of folks will leave out your magnificent writing because of this problem. wszvpxbenhp,Hi there, just wanted to say, I liked this article. It was helpful. Keep on posting! koncjjigwt,Definitely believe that which you said. Your favourite justification appeared to be on the net the simplest thing to remember of.